Recently I had the need to boot Openfiler from a USB flash (thumb) drive. I copy this new file to the USB drive so that I can boot properly. What is an initrd file? You can make use of the <tab> key to auto complete the names of the files you are working with. One of this simple things that help and ensure you do not make mistakes. 7. Run mkinitrd to create a new initrd with the usb-storage module included. This module is what is needed to permit the kernel to boot properly from the USB drive. 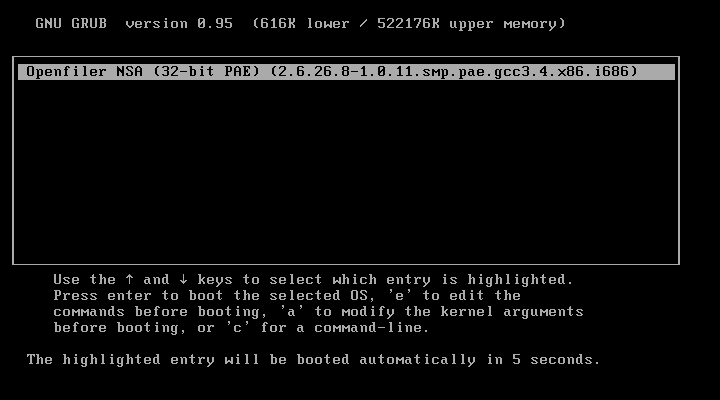 One of the things that gave me an issue with the kernel version. To find this I typed the following: “uname -r” to show the version I was running. You should now have the new initrd file. You can confirm this by listing the directory. 8. Insert your USB drive. The system should auto detect this drive and show you the device id. 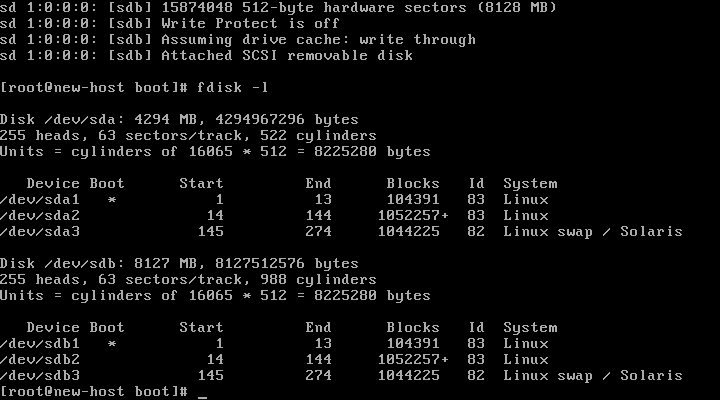 If you missed this you can type the following: “fidsk -l” will list all the drive devices. Be sure to select the correct drive (USB drive). 9. Mount the boot partition of the USB drive and change to that directory. 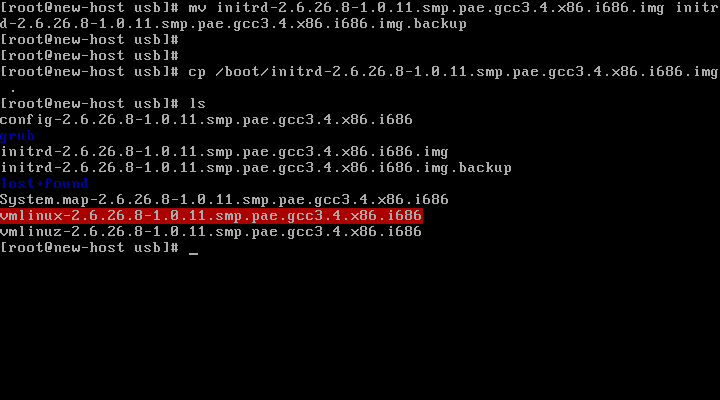 You can also do a “cat /proc/partitions’ and find the correct device in the partition list. 11. Copy the initrd file you made on the hard disk install of Openfiler to the USB drive installation. Note: please add a space and then the dot (.) so it will copy the file keeping the same name as the source. 13. Power cycle (power off (shutdown) the system and then boot from the USB drive. I hope all of this was found helpful, and good luck!